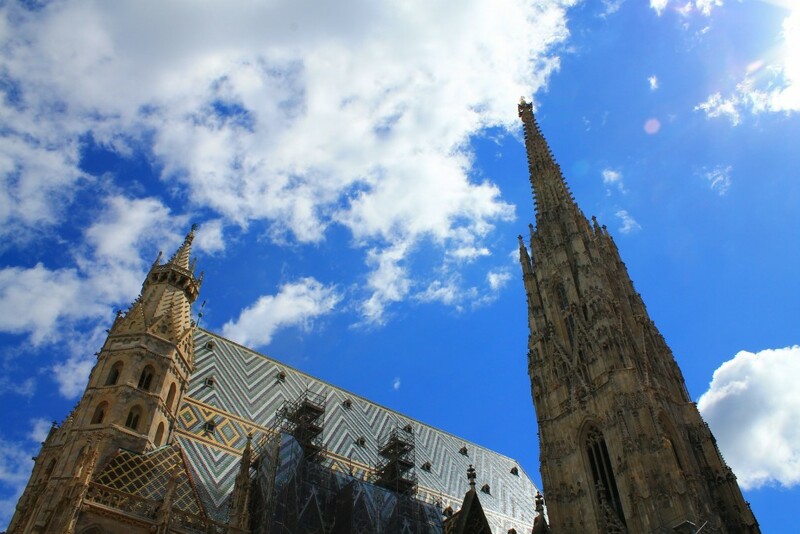 This magnificent Gothic edifice, known as the mother church of the Roman Catholic Archdiocese, is one of Vienna’s most culturally significant landmarks, known throughout Austria and the world as an important heritage site. The building of the original church commenced around 1137, however this construction was entirely ravaged by a large fire, leaving very little remaining besides the stone foundations on which it stood. Since then, St Stephen’s Cathedral, or Stephandom as it is widely known, has gradually grown over time, with large sections rebuilt after damage caused during WWII, and various towers, extensions, and decorations added over the centuries. The exterior of the cathedral is made up of limestone walls, adorned with intricately detailed statues and is an amalgamation of Romanesque and Gothic architectural styles. 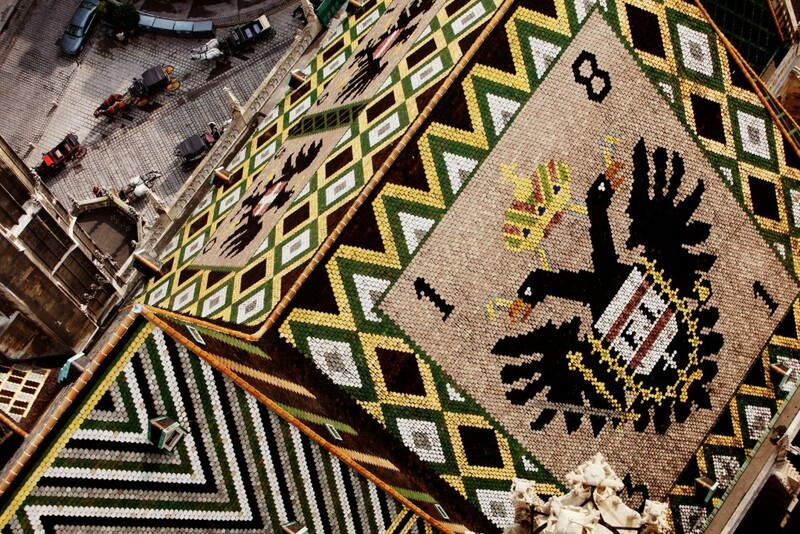 Its most striking feature, immediately eye-catching, is the decorative, coloured tile roof, featuring an intimidating Imperial double-headed eagle that pops out in black from the 230,000 tiles that make up the ceramic mosaic spread. A prominent feature of the building is its towers, scraping the sky with their mottled, ornate spires. 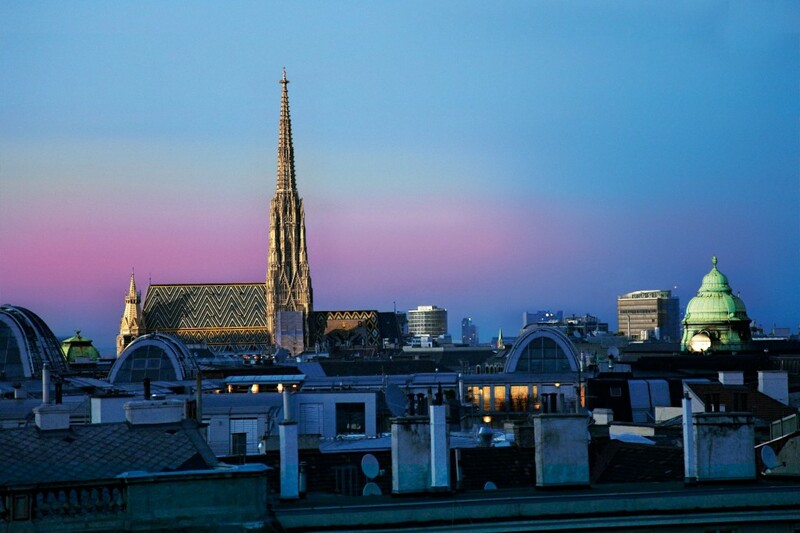 The tallest, known affectionately as ‘Steffl’, stands autocratically at a staggering 136 metres (446 feet) high and has become an icon of the city’s skyline, visible from almost anywhere in Vienna. 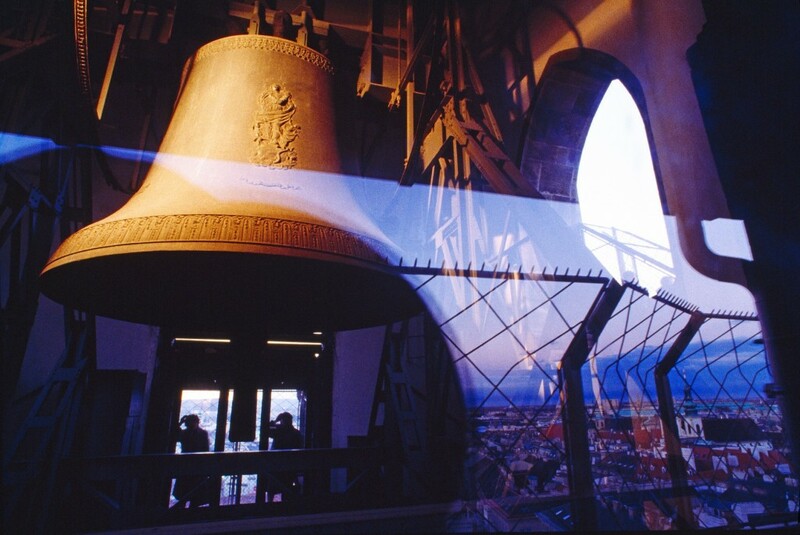 The ‘Pummerin’, one of Europe’s largest free swinging bells, lives in the north tower and is etched with images of the Virgin Mary. Legend has it, Beethoven’s deafness first became apparent to him when he observed birds flying away from the tower yet could not hear the sound of Pummerin ringing. Those brave enough to make the pilgrimage up to the peak, to the viewing room, will be rewarded with dramatic views of the city below – an incredible sight on a clear day with a blue sky. During the final days of WWII, the cathedral was torn apart by flames after falling victim to aerial bombings, causing the original Gothic timbered-style roof to be completely destroyed, along with much of the building. However, it was renovated and fully restored to its former splendour by 1952, with help from Austrian citizens, who donated large sums to recover the beloved monument. 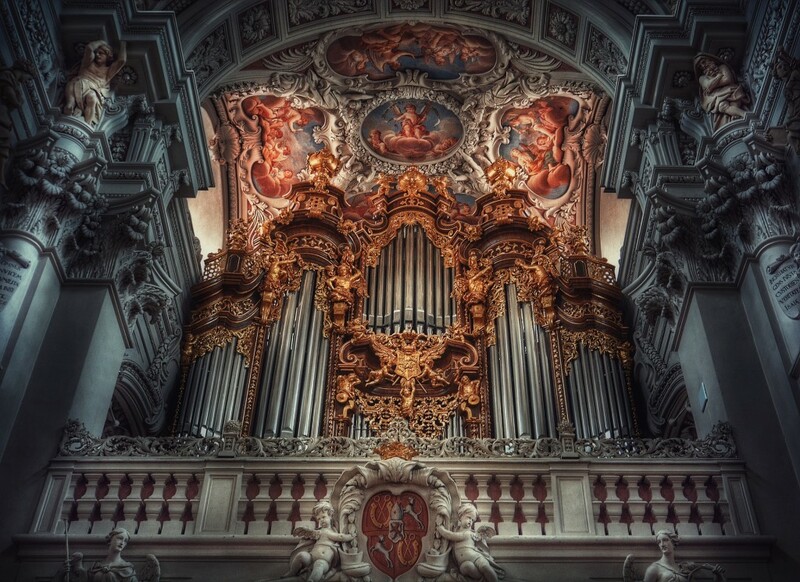 Inside the cathedral, ornate Gothic columns supporting the roof tell tales of the Saints, with countless solemn faces peering out from the stone walls. The servant Madonna, St Sebastian and Christ, whose beard is made, rather spookily, from real human hair, are some of the most notable. A painting depicting St Stephen, the Saint from whom Stephansdom derives its name, acts as the centrepiece of the cathedral and displays the stoning of the martyr. Beneath the cathedral, chambers containing the remains of around 10,000 deceased are arranged in tiers stacked on top of one another, a part of the church that has been sealed off from the public since 1783. 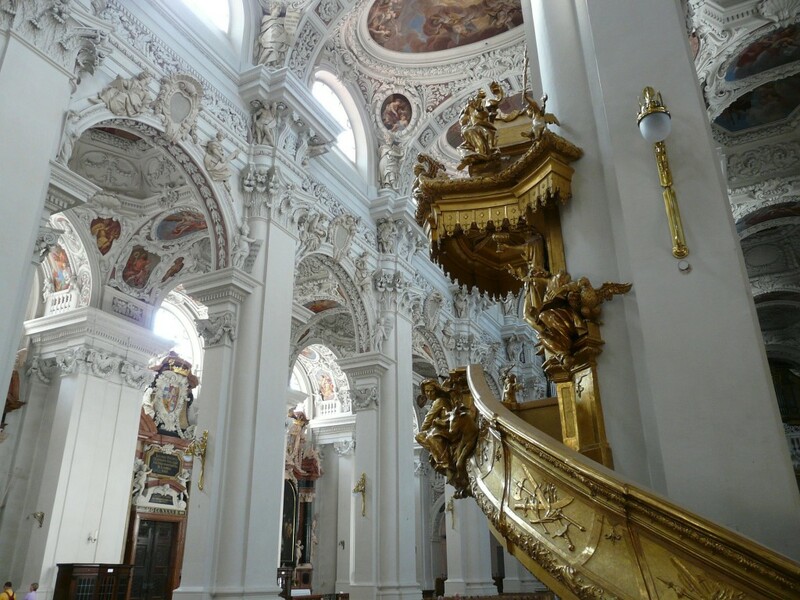 One of Austria’s proudest historical monuments, St Stephen’s Cathedral is an incredible sight to behold. Open year-round to the public, with many events and concerts around festive times, and various guided tours in English available, it is one of Vienna’s most popular landmarks, attracting over one million tourists every year.